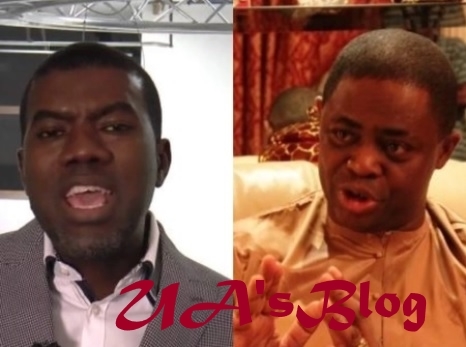 A Twitter war is ensuing between two of Jonathan closest aides online. Both Reno Omokri who was Jonathan aides on digital media and FFK who was the director of campaign for Jonathan during the 2015 election have gone for each other's jugular in a fierce Twitter war. 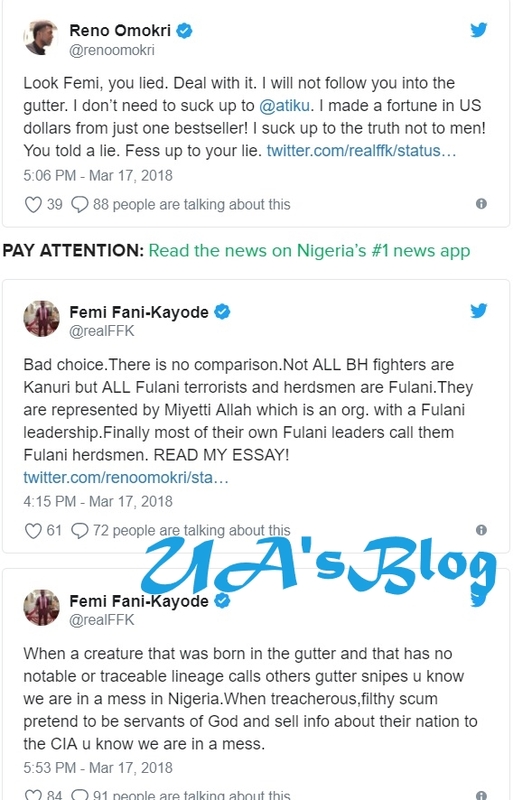 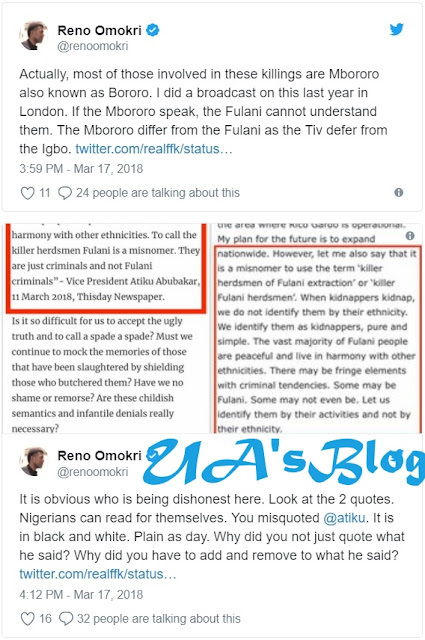 Both aides have resorted to calling themselves unprintable names over the claim by Atiku that that not all herdsmen are Fulani. 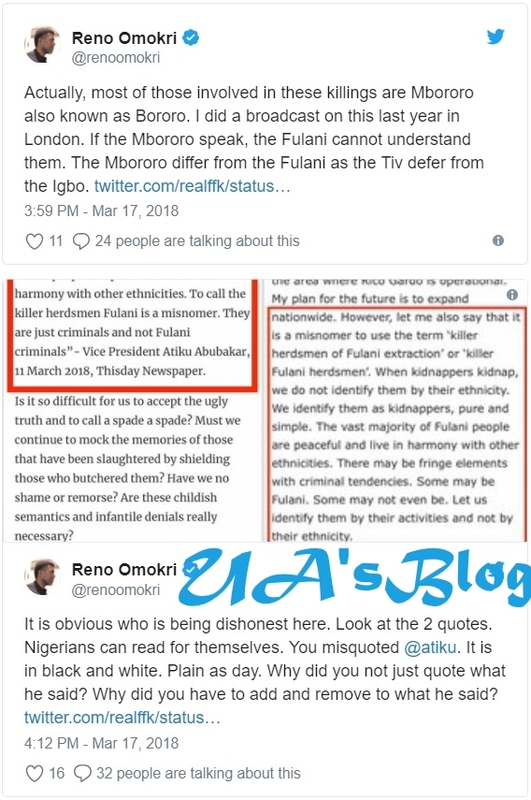 Meanwhile, We had reported that the former vice president Atiku Abubakar frowned against the tribal profiling of violent criminals on rampage across central Nigeria. 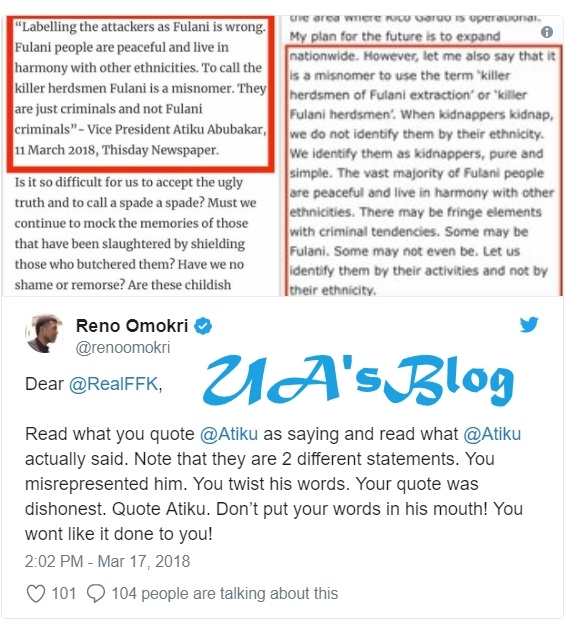 Atiku emphasised that people should be held responsible for their conducts as individuals and not on the basis of their ethnic affiliation.